Fiona Wholey – U+B architecture & design, inc. Growing up in San Francisco, Fiona identifies with urban life and carries a fundamental interest in how the built environment influences interaction. 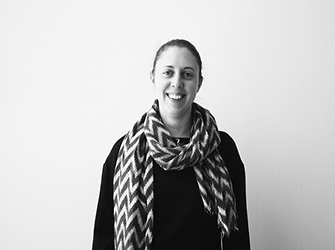 With a background including studies in sociology, spatial planning and architecture, she enjoys the opportunity to work between different scales, disciplines and with diverse materials to bring a clarity to multi-faceted design problems. She maintains a keen awareness of the importance a resilient and adaptable architecture brings to human experience and how the most delicate of design decisions impact program and system efficiencies. Outside of the office, Fiona enjoys the catharsis gardening brings and has developed a greater interest in the role native plants have in creating a more sustainable and varied landscape. Her passion for travel and exploration to off-beat locations affords a refreshing and continuous stream of inspiration.